It’s shortly before midnight on the very last day of my life as a single miss. Or so I hope and pray. Right now, I’m sitting on the floor way up at the top of the house in the storeroom where Mama and I hid my wedding gown. We even put it under lock and key. When we got it up here, we draped it on Mama’s dress form surrounded by old sheets so the train wouldn’t get dusty from the floor. My wedding gown is beautiful and white, its bodice encrusted with pearls and its skirt covered with lace. And it gleams like a ghost in the light of the lantern I’ve set on the floor next to me as I write what will be my last installment in my investigation into all things Daniel Price before our wedding day. But what if something happens to my wedding dress or the flowers in my bouquet or the fine new suit Daniel is supposed to wear or the wedding ring he’s supposed to give me? What if the wedding doesn’t go off as planned? Or the wedding goes off, but what if we don’t set off on our honeymoon on time or even at all? Oh, that man I’m supposed to marry tomorrow. He can be so aggravating. He still hasn’t told me where we’re going on our honeymoon. That doesn’t seem fair after I’ve warned him time and time again that he’s to keep no more secrets from me. It makes me wonder what else he hasn’t told me about himself that a girl needs to know before she gets hitched to a fellow. Not knowing where we’re going for our honeymoon just adds to my jitters about the whole thing. What if we don’t get to the church on time . . . or at all? So many possible slips between the lip and the cup, rum punch cup if Papa and my brothers have their way. I tell you one thing I know for certain and for sure. If the least little bit goes wrong with Mama’s plans for the wedding, she’ll have a conniption fit that might even lead her to blaspheme right there in church in front of God and everybody. This makes me smile, but really I shouldn’t. So much could go wrong. So much has gone wrong already leading up to our wedding day, so many unexpected events, so much mischief, some of it amusing and good-spirited and some of it malicious . . .
And then there’s the murder and Daniel in jail for committing it. As their wedding day rapidly approaches, Minty Wilcox still has many questions about her fiancé Daniel Price. Did he really kill a man? What else is he hiding about his past? Why has he never told her he’s rich? And for goodness’ sake, where are they going on their honeymoon? The Groom is Going to Jail? So much to like about this book. 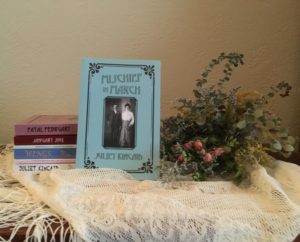 First, Minty Wilcox, a decidedly modern miss, determined to find a place for herself in a business world dominated by men, but who fears her fiancé is keeping secrets from her, including where he plans to take her for the honeymoon. 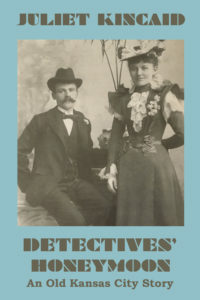 And the fiancé, Daniel Price, chief investigator of the Kansas City branch of the detective agency founded by his grandfather, who faces the likelihood that he will be forcibly walked into jail when he had been planning to walk his bride down the aisle. 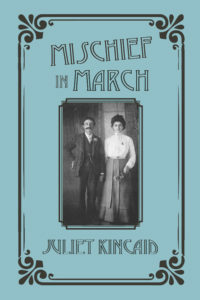 Certainly not the least are the incredible historical details of Kansas City in the early 1900s, rich with descriptions of well-known buildings and shops and places like Emery, Bird, Thayer to grab a quick bite. Since the letter carrier delivered Mischief in March to my mailbox, I haven’t been able to put it down. Beware of Relatives . 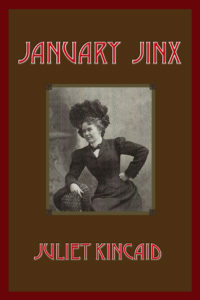 . . Minty Wilcox is in love and is anticipating her wedding while still learning new things about her husband-to-be. Meanwhile, sisters, brothers, cousins, aunts, uncles, grandparents – tons of folks start arriving for the up-coming nuptials. Mystery and mayhem ensue. Minty investigates, and family members help while Mother becomes tense over all the wedding plans. 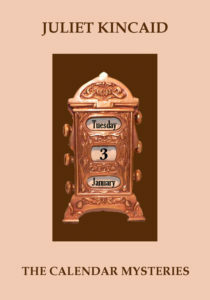 Another fun Calendar Mystery. 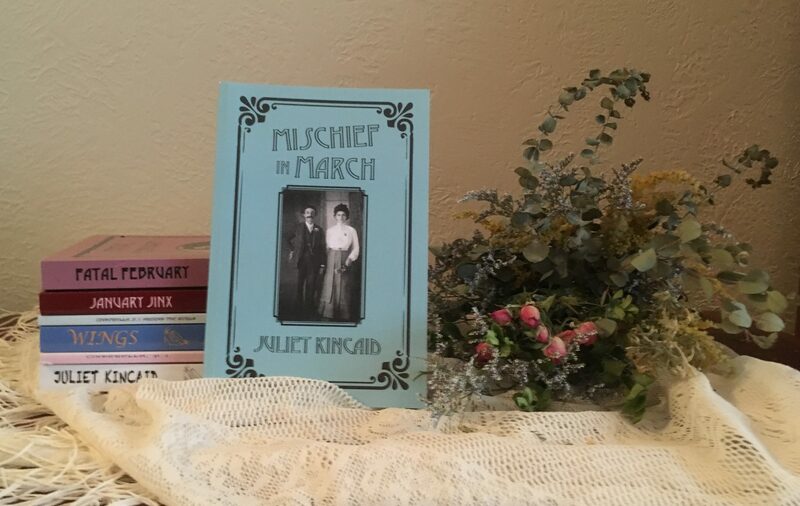 Mischief in March is on sale for only $0.99 at http://www.amazon.com/dp/B06XR1STRN and only £0.99 at http://www.amazon.co.uk/dp/B06XR1STRN from March 13, 2019, through March 19, 2019. 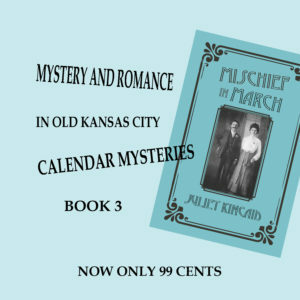 Here’s a snippet from “The Barn Door,” a prequel story to my calendar mystery series, set in old Kansas City, that features an old gent named Hector Jones in need of a detective. The elevator operator had started to close the door when someone shouted, “Wait for me” from outside and a clean-shaven man of medium height stepped onto the car. He didn’t remove his dark blue cap. “Thanks for waiting, Robbie,” the man said. “Sure thing, Mr. Price,” the elevator operator said. “Going to the Ninth Floor, as usual?” he asked before he shut the elevator door. “Yes indeed,” the man said, now standing near the front of the car on the right with his back to Hector. Hector lowered his gaze and studied Price from the heels of his brown boots, the left one scuffed, to his dark gray mixed Kentucky jean pants, baggy in the seat. 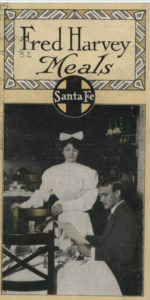 A pair of sturdy farmer’s suspenders crossed a patch of his white shirt a little darker with sweat than the rest of it. “As it happens, I’m going to the Ninth Floor as well, to Price Investigations,” Jones said. The man in front of Jones turned and took off his cap. “I’m Daniel Price,” he said. 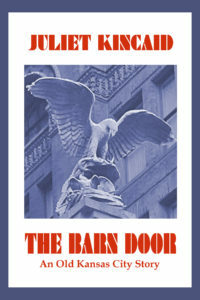 Take a break from expensive Christmas shopping and also get a change in the weather a lot cheaper than flying to Bermuda, and read my calendar mystery short story “The Barn Door” set on the July 4th weekend in 1898. 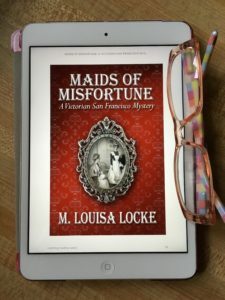 This prequel story to my calendar mystery novels is FREE 12/08/17 #FreebieFriday through #ShortStorySunday 12/10/17. 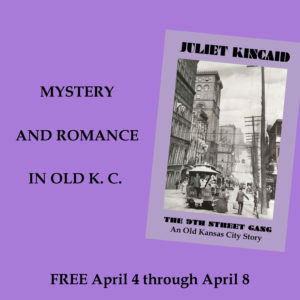 Enjoy mystery and some possible romance in old Kansas City, a place that could get downright deadly a hundred years or so ago by getting “The Barn Door” for FREE at www.amazon.com/dp/B073G7ZXMP.